At the raw age of 20, Canadian tech innovator Vitalik Buterin is following in the footsteps of Mark Zuckerberg, Steve Jobs and Bill Gates. Like them, Buterin has dropped out of school to focus on his future. Buterin is a recipient of the two-year Thiel Fellowship, a tech billionaire’s pet project that awards US$100,000 to 20 promising innovators under 20 so they can pursue their inventions in lieu of a post-secondary institution. The Russian-born, Toronto-raised Buterin is a co-founder at Bitcoin Magazine and the main developer for Ethereum, a decentralized application-building platform. He dropped out of the University of Waterloo after a year of computer science so he could focus on his burgeoning innovations and land the Thiel Fellowship. But Buterin soon realized he had most of the knowledge and skills necessary to excel in what he calls the “real world.” He’s already considered an up-and-comer in the tech world and a giant in the Bitcoin community. And he’s not the first Canadian to take advantage of the fellowship. Calgary-born Eden Full won the fellowship in 2011 when it was first offered, and used the funds to develop a former high school project called SunSaluter. Full’s SunSaluter, which uses water filtration and gravity to help solar panels track the sun, has transformed into a non-profit organization that benefits entrepreneurs in developing countries. Full dropped out of the prestigious Princeton University and used her Thiel Fellowship to give her project the time it required to flourish. “I felt I needed to commit to this 100 per cent before focusing back on my school work,” Full told Canada AM Thursday via Skype from Berlin, Germany. Her SunSaluter technology now has a production facility in India and an administration office in the United States, where she now lives. “Being in the fellowship for two years gave me the freedom to be able to actually execute on the SunSaluter, hire employees, build out a team,” she said. But she hasn’t given up on going back to Princeton in the future. Buterin is the only Canadian among the 2014 Thiel Fellowship winners. He’s also one of the oldest, as he turned 20 back in February. Six of the Thiel Fellows are just 17 years old. Buterin is unsure whether he’ll ever go back to school, but Fellowship alum Eden Full still recommends people seek a post-secondary education – if that’s what they truly want. “I just don’t think people should go to school if you don’t know what you want out of school,” she said. Digital downside: Will new anti-spam legislation really clear up your inbox? Students line up for the Thiel Fellowship application process in this undated file photo. 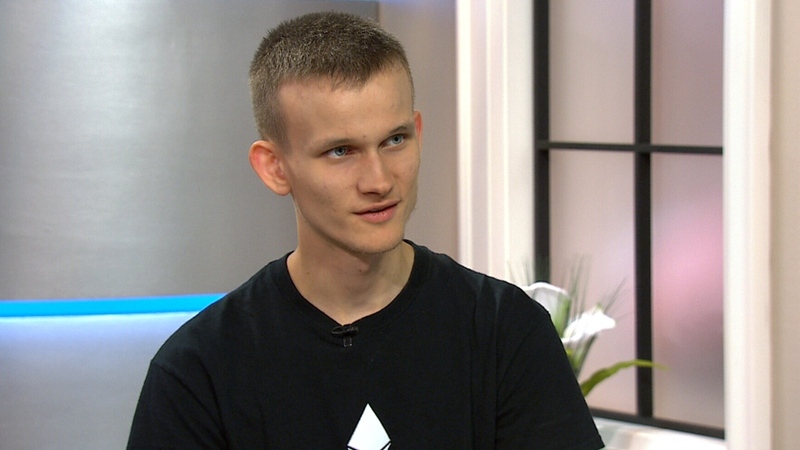 2014 Thiel Fellowship winner Vitalik Buterin, 20, appears on Canada AM Wednesday, July 2, 2014.